Members of STI/SPFA produce elevated, reservoir and standpipe water storage tanks. They also produce storage tanks for the petrochemical industry and special storage systems. 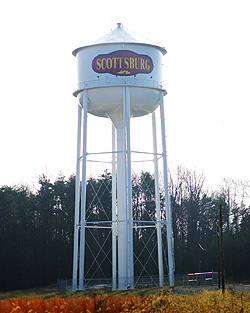 Elevated water tanks are often called "water towers." An elevated water tank is a simple way to store water and provide pressure in the water distribution system. Elevating the water tank creates pressure at the tank outlet of 1 psi per 2.31 feet of elevation. For example, a tank elevated to 70 feet generates about 30 psi of discharge pressure, sufficient for most applications. The flared steel column design is common and recognizable. 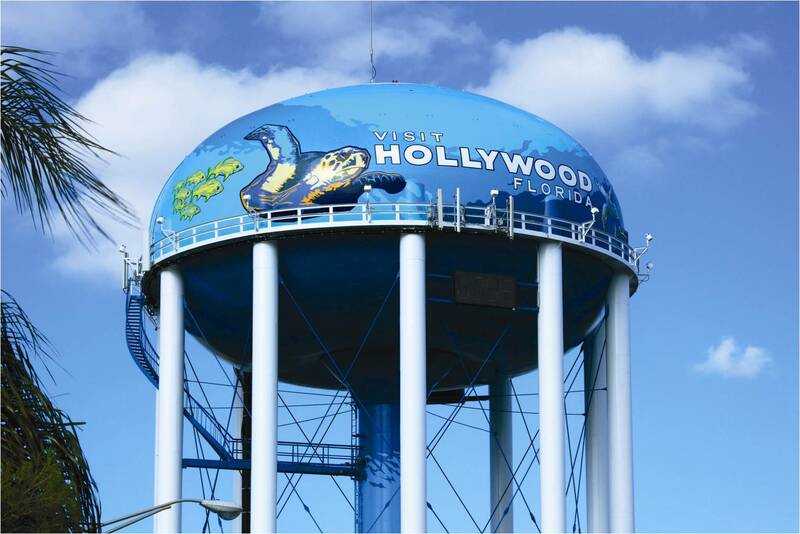 One of the most common and most recognizable designs, these tanks can hold approximately 2 million gallons of water. 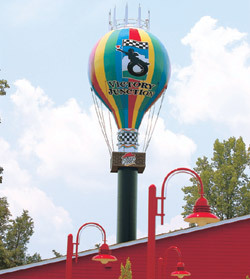 Many such tanks are designed with elaborate exterior colors and graphics representative of the facilities and communities the tanks serve. As the photos here demonstrate, the shapes of the tanks can be just as varied as their surface appearance. These common tanks are supported by a large diameter fluted steel column. An attractive feature about hydropillar tanks is that the space inside the pillar can be used for offices, meeting rooms or equipment and machinery storage.The pillar also provides sufficient space for multiple floors. This tank is elevated by a series of steel columns around its perimeter.The multi-column design was common in the past, but has been replaced in recent years with less expensive designs. STI/SPFA's Century Club honors water tanks that have been in continuous service for 100 years or more. The multi-column, leg type elevated tank design is common among Century Club members, as is the standpipe design. These tanks utilize gravity to create pressure in a water supply system. For a tall building, for instance, where the pressure from water mains at street level is insufficient to raise the water to upper floors, water is pumped up to a standpipe and fed by gravity into the system. Reservoir tanks come in a broad range of sizes, with the diameter exceeding the height. Reservoirs are economical and effective storage, especially on higher ground. Since these tanks have a lower profile, it is easy to mask them with foliage. Large, welded, field-erected, low-pressure carbon or stainless steel aboveground storage tanks (including flat-bottom tanks) with a single vertical axis of revolution. Vertical, cylindrical, aboveground, welded carbon or stainless steel storage tanks in various sizes and capacities for internal pressures approximating atmospheric pressure. Entire tank bottom is uniformly supported.